If you're looking for affordable online auto calculators to add to your site, you have found them! We can calculate car payments, lease payments and a whole lot more! 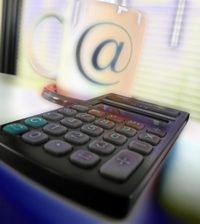 See if there's an auto calculator you can add to your site that will help your visitors. Better yet, add our entire group of auto calculators at a very reasonable price! Just click the shopping cart by "Auto Calculators" to subscribe to the whole group, or click the shopping cart by a specific calculator name to order just that one. If you can copy and paste a link to your site, you can add as many auto calculators as you need in just minutes. Coming Soon! These calculators will be added to the Auto Calculator Group soon. Remember, if you subscribe to the Auto Calculator Group now, you will get these new auto calculators free when they are released. Vote for the one you would like us to do next or something completely different. Also available: Not looking for an Auto Calculator? Maybe what you need is in one of these groups instead. Not looking for an Auto Calculator?